April | 2013 | Maintain Your Composer! As my last blog post I not only find it appropriate to return to John Williams because of his impact on the world of film music, but because of his influence on my own musical ventures. One piece of music that I did not mention in my first post about Williams is somewhat of a curiosity. I say that because it is not as often that works written film easily cross over into a concert setting either easily (due to the size or demands of an ensemble) or without the baggage associated with the film. Perhaps the greatest exception to this rule would be the music of Erich Korngold, another master of the golden era of film, as his themes for films often found their way into his concerti. But in regards to Williams, the one work that I am thinking of that contains these properties is the piece “Hogwarts Forever!” Taken as purely a concert work, its complex harmonic and rhythmic structures separate it from the often times caricatured grandiose themes associated with film. However, within the film it acts as a subtle underscore that is, quite frankly, mostly overlooked. This could lead into a discussion of music’s intention, questions relating to scoring, and other considerations, but instead, let’s just listen and enjoy the horn quartet that is “Hogwarts Forever!” from the film Harry Potter and the Sorcerer’s Stone. This entry was posted in Uncategorized on April 13, 2013 by janaigus. 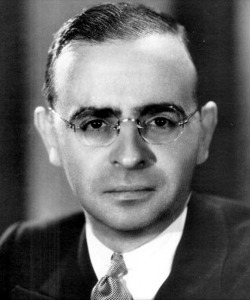 Max Steiner (1888-1971) was an Austrian born composer, arranger, and conductor whose contributions to film scoring made him one of the most well known and respected composers of the craft. 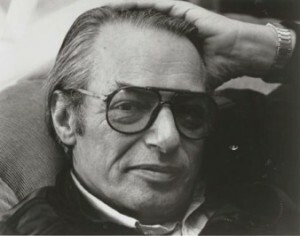 He was primarily active during what is now known as the golden era of film, and is perhaps best known for his work in the films King Kong, Casablanca, and Gone With The Wind. Interestingly enough, he was trained by Johannes Brahms, Robert Fuchs, and Gustav Mahler, and his godfather was Richard Strauss. If that isn’t an impressive musical lineage I’m not sure what is! Steiner’s work was so influential that “Max” was a nickname given to John Williams by Steven Spielberg. One story, in regards to the scoring of Schindler’s List recalls Williams saying to Spielberg “you need a better composer than I am for this” with Steven responding “I know, but they are all dead.” This quote undeniably refers to the work (and absence) of Max Steiner. The brass piece we are going to look at today is yet another arrangement, this time from Steiner’s score to Gone With The Wind. Well, unfortunately we aren’t going to be able to listen or look, because I wasn’t able to find a recording, but regardless I wanted to mention the arrangement done by Jeff Sultanof for brass quintet. 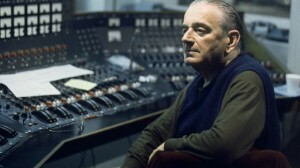 And mostly I wanted to have a post about Steiner, since in the world of film music, he is one of, if not the, king. For something, here is a tiny clip of the Warner Bros. fanfare that Steiner wrote. As you can hear, there are brass being used. Close enough? I know what you are thinking: this is a blog about film composers! 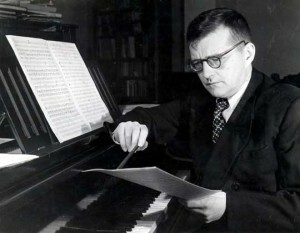 Why is Shostakovich here? Well, Shostakovich (1906-1975) was in fact quite a prolific film composer, writing the scores to over 30 films. He otherwise needs little introduction, as his symphonic, concerto, and chamber works are a staple of the orchestral and otherwise instrumental repertoire. So, is this an effective arrangement? I think it is an incredibly effective arrangement, but also exceedingly difficult, when performed at that tempo. 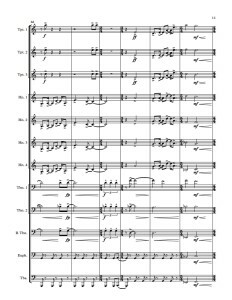 The string/woodwind run passages provide a unique challenge for brass, but a professional group like the German Brass does the piece justice. If this piques your interest, many of Shostakovich’s other works have been transcribed for brass. This entry was posted in Uncategorized on April 12, 2013 by janaigus. Ennio Morricone (b. 1928) is an incredibly prolific Italian composer, orchestrator, and conductor. 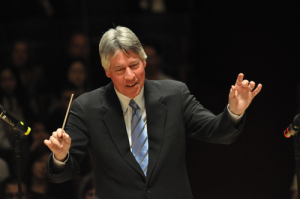 He has composed the scores for over 500 films and has also contributed much to the concert repertoire. He has not, however, written concert music for brass alone. However, his rich wealth of filmic material has served as an excellent source from which to arrange. One of Morricone’s best known works, from the movie The Mission, is the piece “Gabriel’s Oboe.” Normally scored for (you guessed it) the oboe, this exceedingly beautiful melody has understandably been “stolen” by other instruments, such as brass band. In fact, when researching the extent of the piece, a version exists for pretty much every combination of brass instruments. 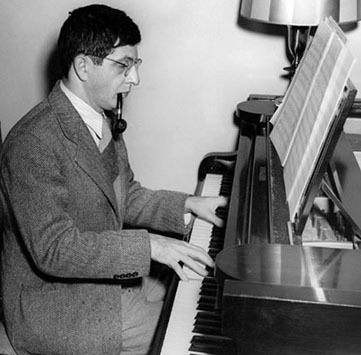 Bernard Herrmann (1911-1975) is one of the veritable masters of the film score, and his scores for Hitchcock’s films in particular still resound today. Perhaps his most well known sonic contribution is the violin “screech” from the shower scene in the movie Psycho. This cue is today almost a cliche, and most people do not know that film also contains beautifully haunting additional music by Herrmann. Herrmann did in fact write many concert pieces, but none featuring brass alone. His music has been transcribed and arrangement for many different types of ensembles, including brass. The piece we will look at in this post is an arrangement of the prelude from Psycho. This music accompanies the tense opening scene and subsequent driving moments. This particular arrangement was done by Brad Rouillier and performed by The Aveley and Newham Band conducted by Nigel Taken. For the next few posts we will once again look at film composers whose music has been arranged for brass ensemble, most commonly brass quintet or brass band. The work we will be looking at in this post of course breaks that mold, as it is of a large horn ensemble. But first, more about the composer. 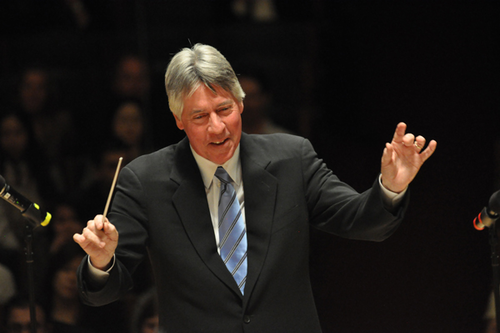 Alan Silvestri (b. 1950), is a composer of film and television who is perhaps best known for his scores to Band to the Future and Forrest Gump. 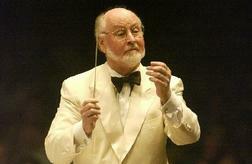 He is an Academy Award nominee, but not winner, and has contributed to the musical scores of over 100 films. The particular piece of music we are looking at today is Back to the Future, arranged by Alexander Wagendristel and performed by the Vienna Horns. So, how does this stand up to the original? Does it work? I think it mostly does, with the sole reason that the original score heavily features the horns as carriers of the melodic lines. Silvestri’s use of the horn is easily transferable to an arrangement, and does not drastically effect the overall timbre. However, from a practical standpoint, this particular arrangement is exceedingly difficult and would take a cast of all professional players to perform. I could not find any information about this work, less its recording on an album by the Los Angeles Brass Society and the LA Phil. 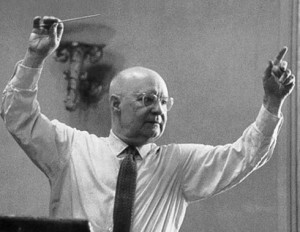 The album seemed to suggest that Lester Remsen, the conductor of the ensemble, commissioned a number of fanfares in 1969 by top Hollywood composers. This entry was posted in Uncategorized on April 11, 2013 by janaigus. 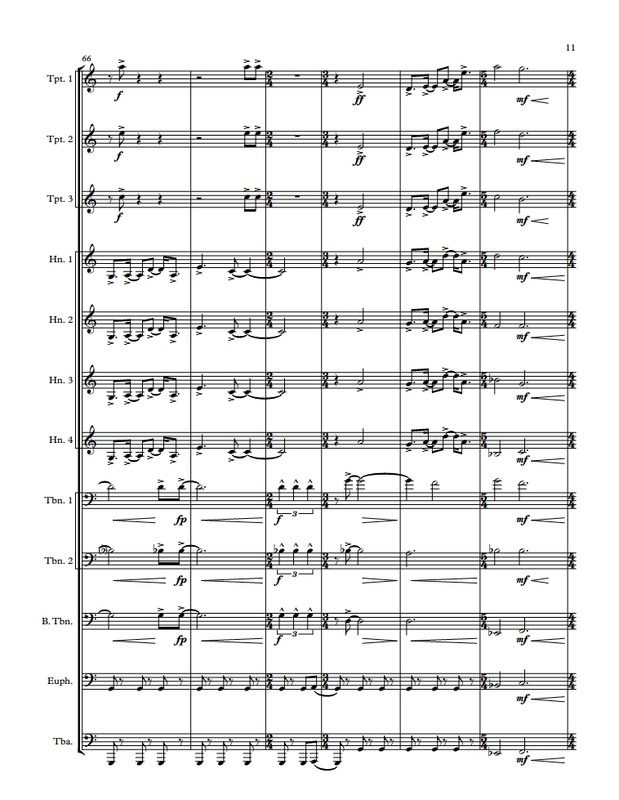 Perhaps the biggest help and influence for writing this piece has been simply listening to as much brass ensemble music as possible, such as the music on this blog. If you have any interest in composition, I implore you to do the same. Learn from the masters! Festive Flourish was written for the bicentennial anniversary of American independence. It is a concise work, clocking in at only a minute long, but those familiar with Rózsa’s film scores can easily recognize his compositional style and harmony in this tonal and very accessible work.